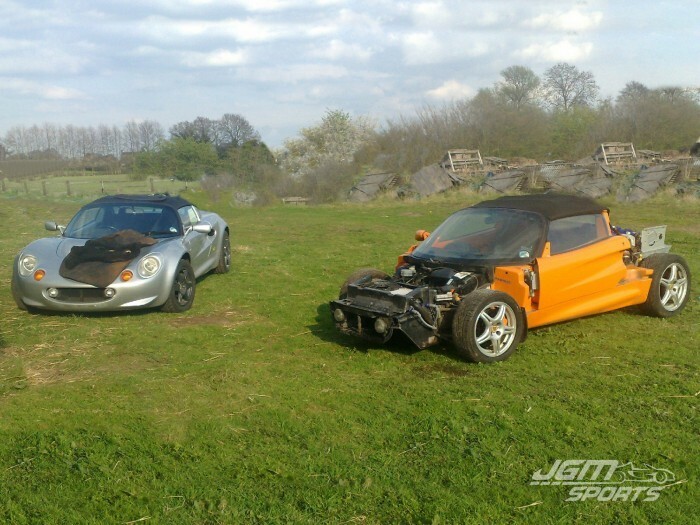 Damaged S1 Lotus Elise gets given Exige clams and 340bhp of Audi power! 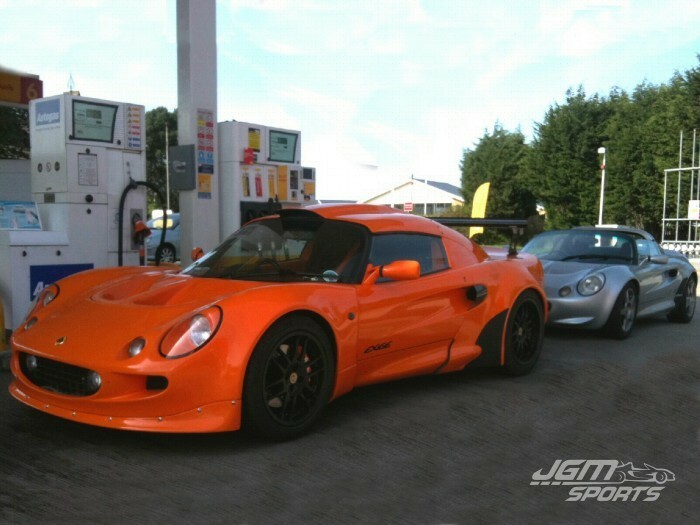 Searching the usual classified adverts, I came across this Chrome Orange Series 1 Lotus Elise. The colour grabbed my attentions as it happens to be one of my favourite colours…. Oh and the fact that it had a turbocharged Audi lump in the back! Having had a fair few Lotus cars with engine conversions I had never experienced Audi power, so the best way to see what all the fuss was about was to jump in with both feet, call the owner and buy it! However there was one slight down side, the owner had just spun the car causing considerable damage to the rear clam, pulled the passenger wing mirror off and caused a slight curb mark to the front clam. Luckily there was no suspension or chassis damage. I was told there was a small insurance payout to fix the car however it was not a write-off. This was very important as I did not want to spend a lot of money on a Category C/D write-off project. As with all of my cars, a full dealer HPI check was made and everything came back clear so a deal was done and I arranged for the Elise to be delivered to me in many bits! On paper it had a very nice upgrade specification along with the Audi engine, AGU big valve head, single piece lightweight flywheel, uprated clutch, custom made inlet manifold, hybrid turbo, custom exhaust manifold, 2.5inch exhaust system, 5 speed gearbox with LSD, programmable ECU, charge cooler, external fuel swirl pot, 044 fuel pump, air to oil cooler, the list goes on! In reality it needed a lot of work and tidying up. As soon as I received the car a silver rear clam was sourced, the front clam removed and the interior stripped. Removing the front clam showed the front cooling set-up. A large charge cooler radiator was situated in the position of the original fan which was relocated on top of the radiator effectively blowing the wrong direction. I decided to stick with the set up as the fan will only be in operation when moving very slowly. Whilst the front clam was off I took the opportunity to replace the original plastic end capped radiator with an alloy version which would also help the quirky fan setup. After some tidying of the engine bay/fuel system, I decided to go down the route of fitting S1 Exige wheels following my first Elise. I liked how the wider rims filled the arches and helped with traction. They are a rare item but a set was soon sourced and sent to be refurbished with new tyres fitted. 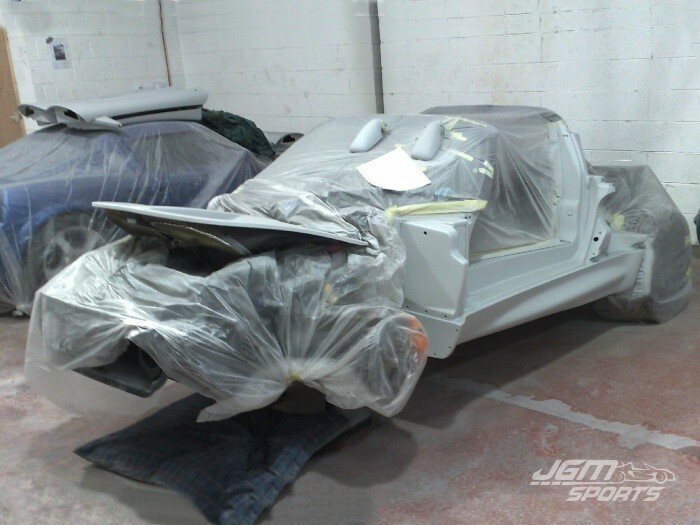 A Sport 160 rear spoiler, raiser blocks and a genuine Lotus hardtop were also sourced. 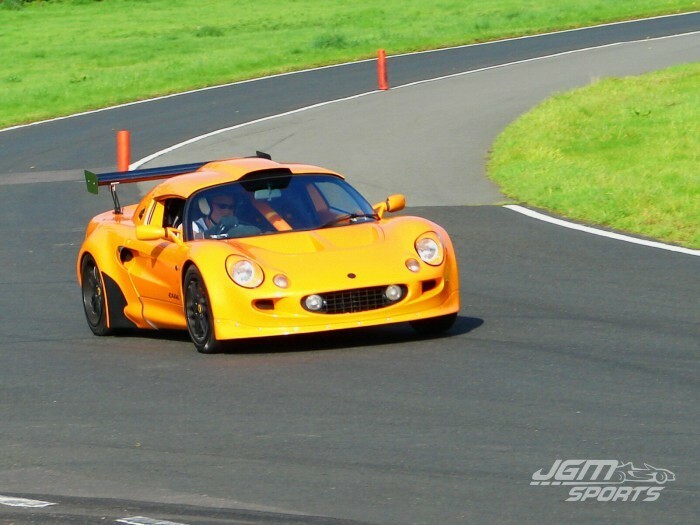 Déjà vu kicked in and I realised it was fast becoming a copy of my first Elise with an orange twist. However read on…. things are about to change! Once all parts were sourced, everything was loaded onto a transporter to be taken to the body shop. In primer and ready for paint but what colour? Once the car was in the body shop it was soon rubbed down and in primer, I noticed another Honda powered Elise in the same state in the corner of the workshop. 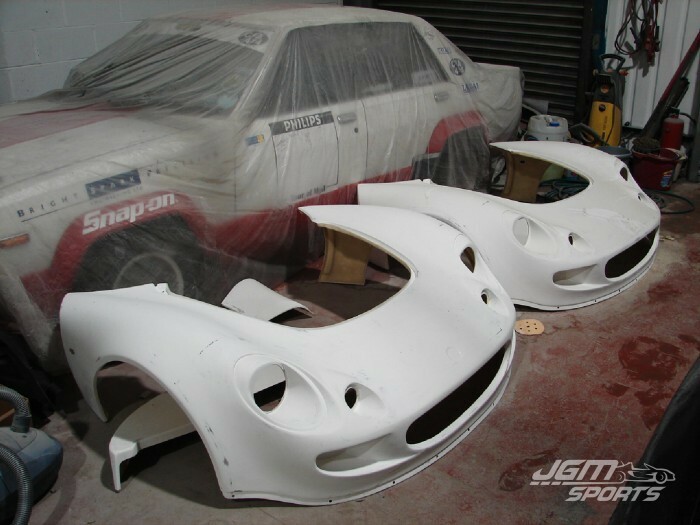 After a chat with the painter it turned out it was having an Exige body conversion. He was waiting to collect the Exige clams before he could do any further work. As you do, I started asking about the cost involved and if it made the job much bigger. 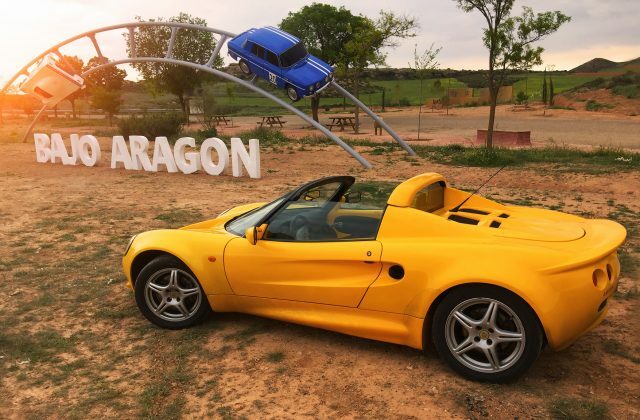 My brain started doing the maths – cost of Exige clams minus selling Elise clams, new Sport 160 spoiler, hardtop, soft top and all fittings. Then added to the fact that I already had one of the most expensive parts of the conversion the S1 Exige wheels it was starting to look like a no brainer! Furthermore I could share the cost with the Honda owner on the transportation of getting them back if I decided quickly enough. 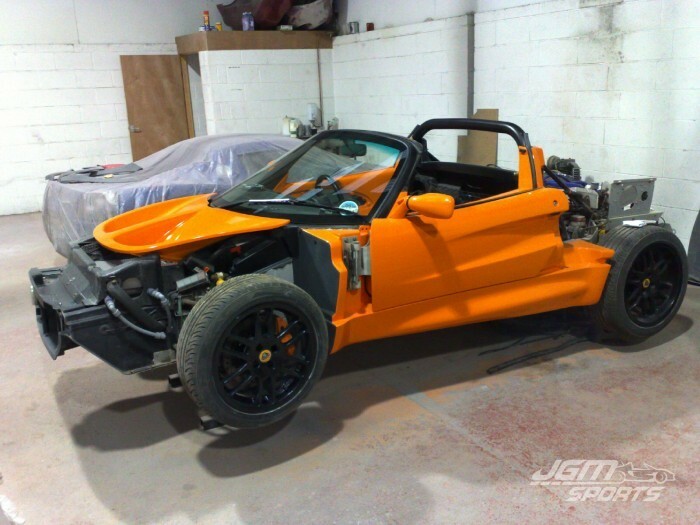 After a good chat with the Honda Elise owner, the Exige body project was on! We both went for the one piece rear clam rather than the split motorsport version, motorsport engine cover and extended roof scoop. Both cars started to take shape pretty much simultaneously as they were being worked on side-by-side. Once the clams had arrived they were prepped and ready for paint. Choosing the colour was no issue for me as it started life as a Chrome Orange Elise and in my opinion it’s the best colour for an S1 Exige. I also liked the idea of the body colour still matching the colour code on the chassis sticker so really there was no other choice…. 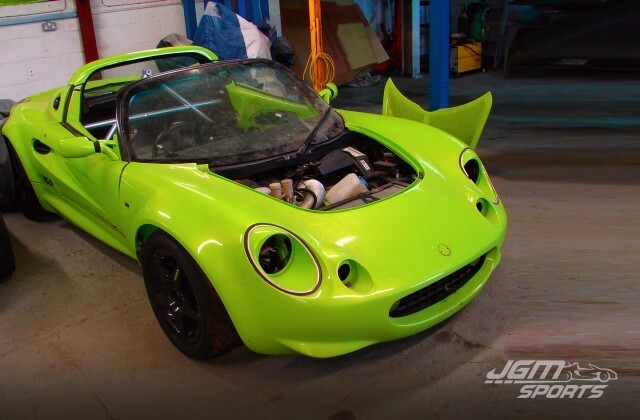 As with all things in life, the Exige body conversion was not as straightforward as I first thought. A rear wing was required, the exhaust needed to be modified as the tail pipes were too short for the slightly longer Exige clam, nose badge, stickers, stone guards, wheel arch liners and that was just the exterior. 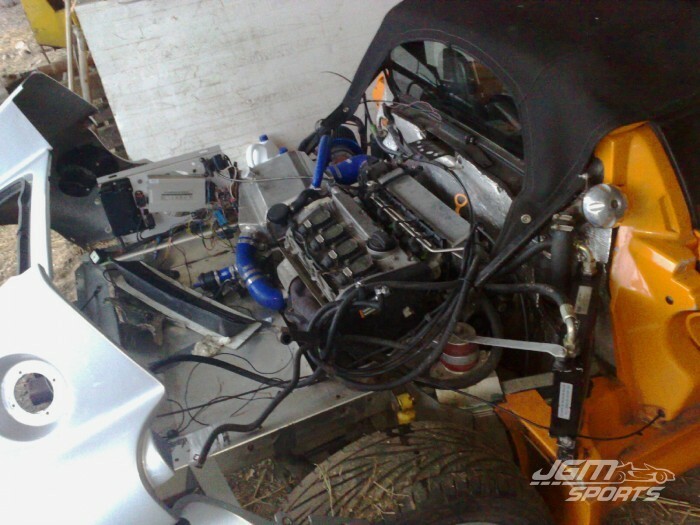 The interior also needed some work as the standard S1 Elise seats would not suit the conversion. So whilst the car was being painted I started to source the parts. The Exige motorsport seats were ordered and trimmed in carbon leather and orange stitching. A carbon motorsport rear wing, A-frame/petty bar, coilover suspension, carpet set, 4 pot big brake kit and carbon interior bits. You get the idea! even off boost it was lumpy and lethargic. I loaded the engine up a little and it started to come on boost but it really didn’t feel comfortable so I backed off in fear of doing damage to the engine and called it a day. As soon as I returned, I was on the phone and it was booked in for mapping and a power run on the rolling road. It should have taken a day but ended up taking almost a week. There were so many small faults before he could start the mapping like the sensors being incorrectly wired, O2 sensor not connected, boost controller not working, eventually each job got worked through and the mapping started. I eventually got the call “Your @!*%$? car is ready”, “Great! How did it do?”, “I’m not sure on the bhp as it maxed out my rolling road at 340bhp! But has 311Ib ft torque”. It was going to be a fun drive home then. So how did it drive? Well I have mixed opinions as it was obviously very fast with a lot of torque. The gearing was long so nowhere near as frantic with the gear changes like the Honda and VHPD powered screamers. Also coming from driving standard Elise’s such as the silver Sport 160 I could really feel the extra weight of the engine conversion, charge cooler system, Exige clams, A-frame/petty bar and bigger wheels. 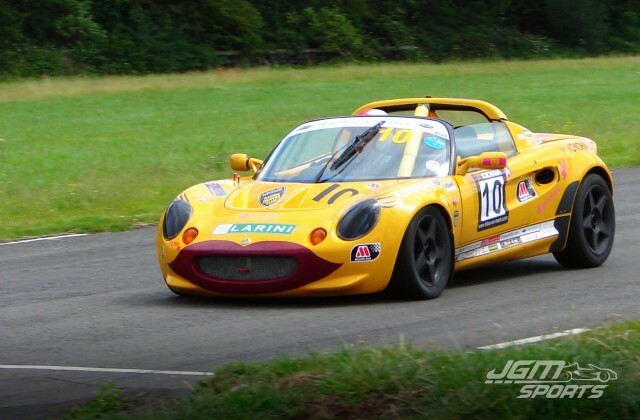 It is probably to this day the fastest Lotus I have ever driven but…. 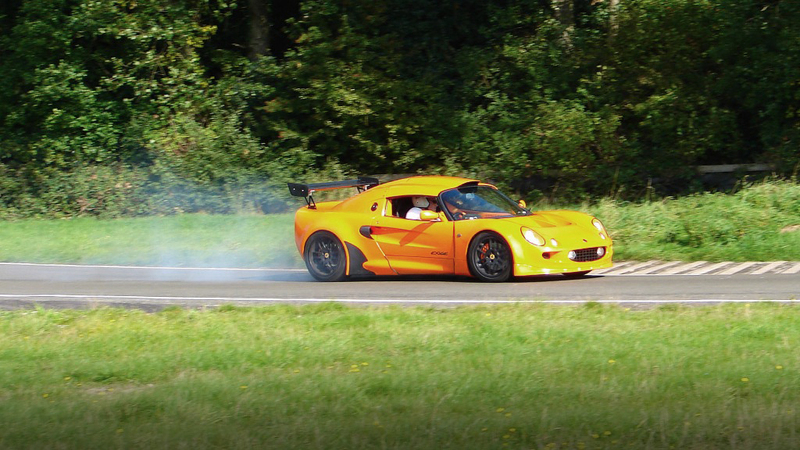 Would I convert another S1 Elise to an Exige….? No. Was it any more fun than a well tuned K-series car….? No. 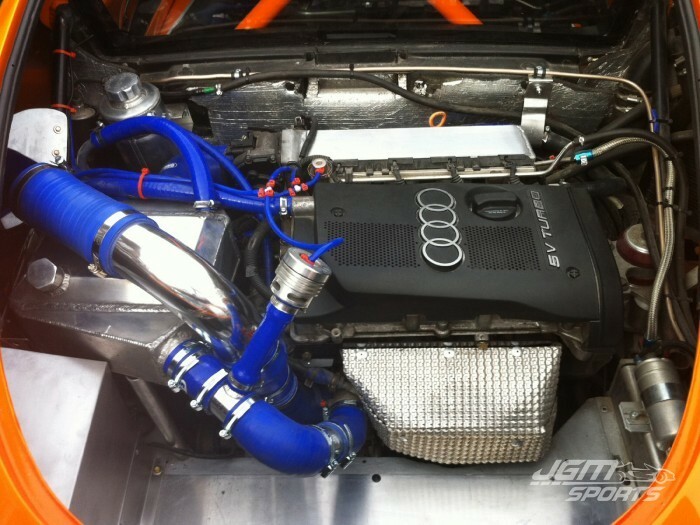 Would I have another Audi powered car….? 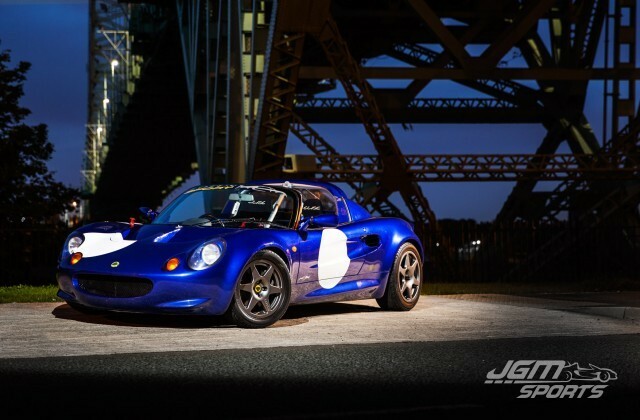 Yes but in an Elise made as light as possible. I owned the car for almost 3 years and I did manage to have a little fun in the car as well as just building it.